Inspired by a color? What does that even mean? Make a mani in all one color? Do a mani of something that is a particular color that you are inspired by? Who knows. I decided to go a different direction with it, and be inspired by a particular POLISH color! As many of you may be aware, I am completely and totally obsessed with OPI Skull and Glossbones. It's inexplicable. I just love the color so much and want to paint my room and my floors and my sheets in it. So I started with a base of that! Just divine. 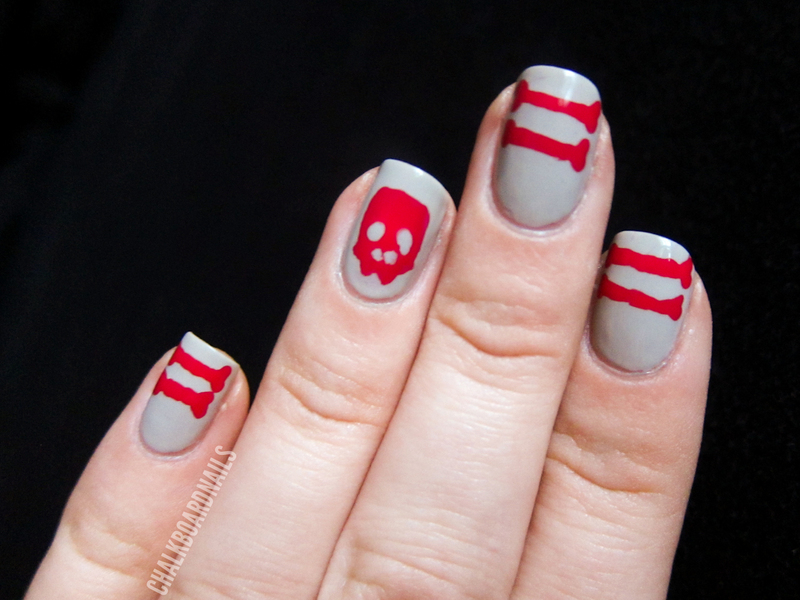 Then I added on some skulls and some glossbones in China Glaze Heli-Yum. The Heli-Yum is... the color of lip gloss...? Okay, I might have stretched the limits of today's theme. Whatever, it counts though! Don't judge me! I did the bones with a dotting tool and the skull with a nail art brush with a flat square end. For the skull, put on the full solid skull first, and then add on the eye sockets and the nose ...sockets (?) with more of your base color on top. So for example, I painted in the whole skull in Heli-Yum and then added more S&G on top for the holes in the skull. 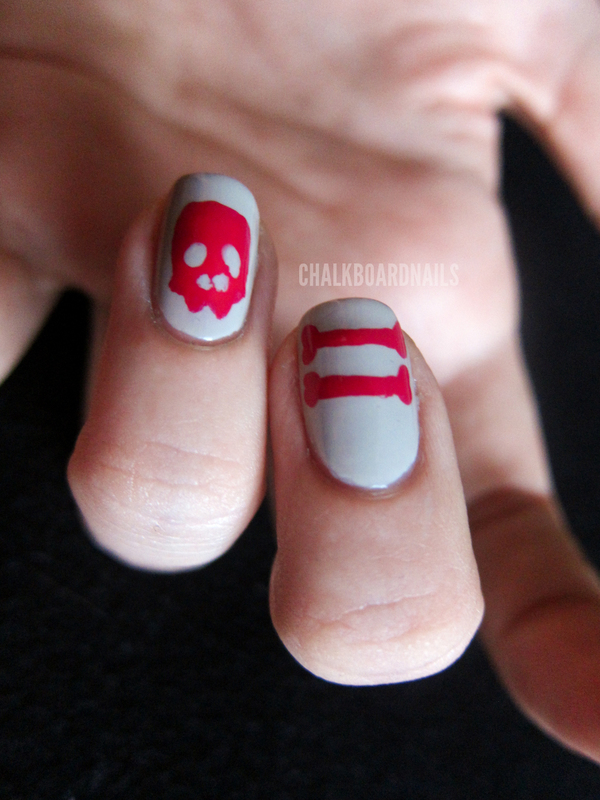 For the bones, put two touching dots on one side of your nail. Do the same on the other side. Then connect the bone ends with a straight line of polish. This connection step would probably be easier to do with a striper brush or even any other kind of nail art brush, but I just went with the dotting tool cause it was already in my hand. Hope you like! If I can pull off tomorrow's mani like I have envisioned it... you are in for some serious craziness. Super cute!! I love the color choice- not your typical "scull and crossbone" theme! Very creative with today's theme, good job! I have actually been wondering about this day in the challenge myselfe, inspired by a color? What? But I really liked your twist, and I may do the same, thank you! 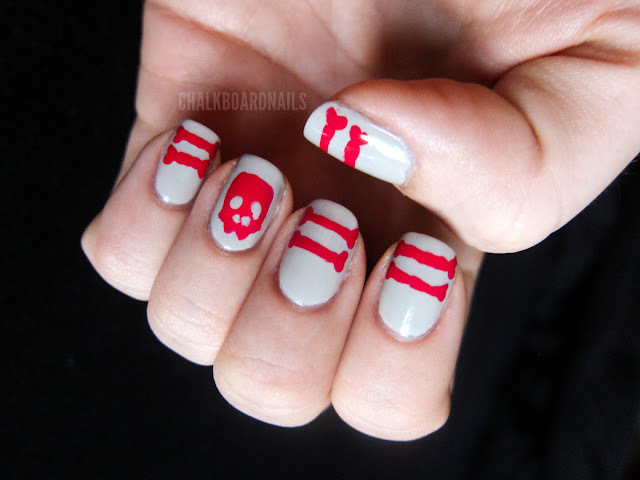 Cute :) I'm obsessed with Skull and Gloss bones too! just so you know - i just spent an entire hour looking back through all of your posts! 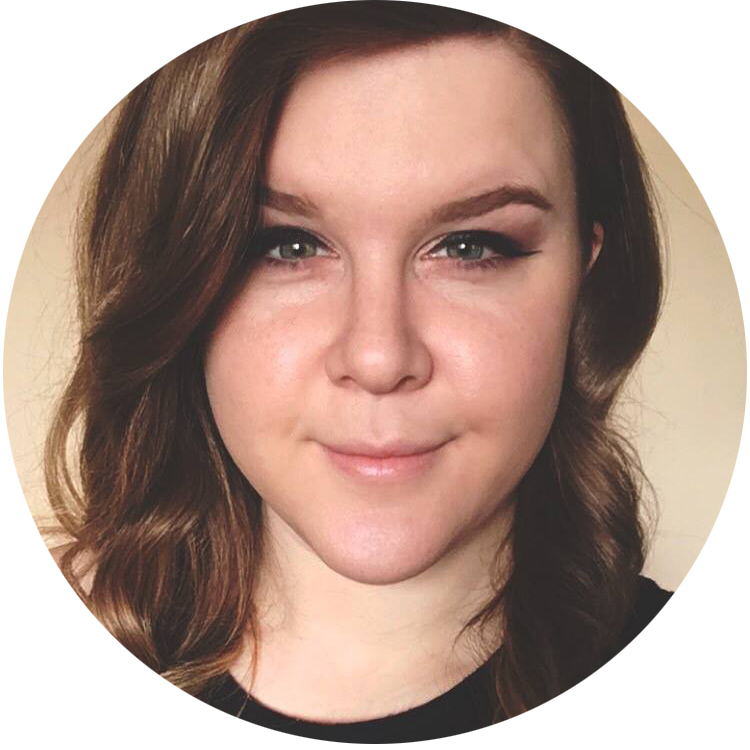 how have i not seen your blog before! love it. I neeeeed to buy that grey polish now! This is adorable, I especially like how you positioned the bones towards the top of the nail. This is really cool! You are so freaking talented!